While this is America’s first black burger, Burger King Japan has already black bun burgers implemented into their menus. 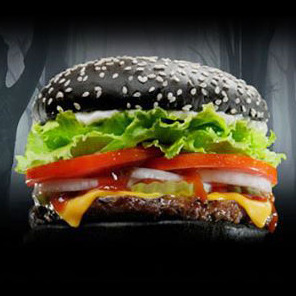 Burger King has also released that the U.K will also be getting black-bun burgers for the month of October. Burger King hopes to drive up their sales with the Halloween Whopper, on its creepy shock value. Fans of the black-buns can hope that with increased performance of the chain, because of the Halloween Whopper, the black-bun can be a permanent menu item all across America.